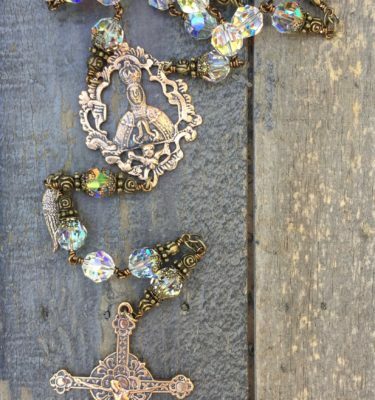 CONSTRUCTION OF THE SERAPHYM HEIRLOOM ROSARY: Seraphym Inc houses the first Heirloom Rosary of its kind in the US, and we were commissioned to make a Rosary for Pope Francis during his visit to the US in 2015. 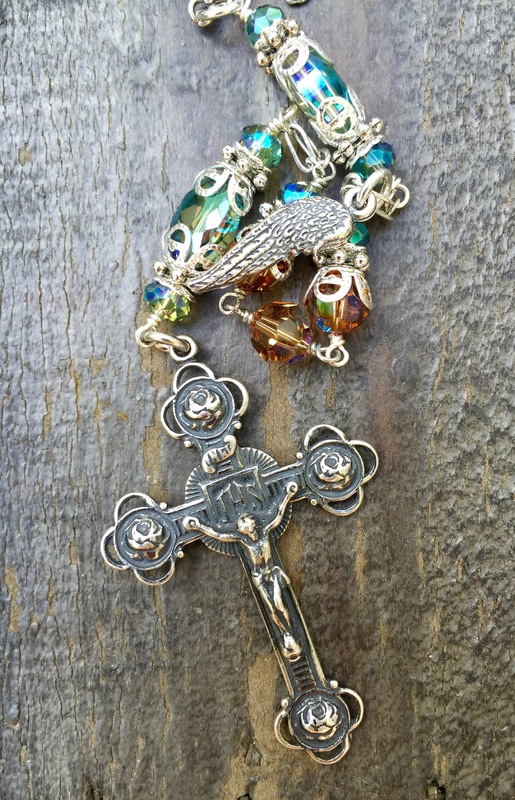 Each Seraphym Heirloom Rosary is handmade and designed to last for generations. 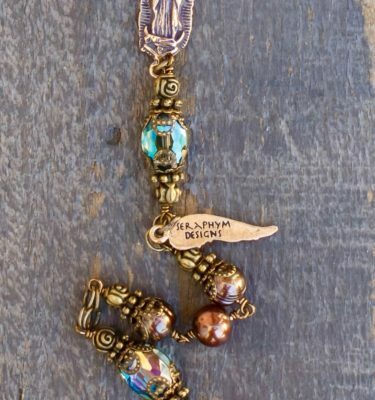 Each bead is wire-wrapped shut making it sturdy and will not fall apart with continued usage. 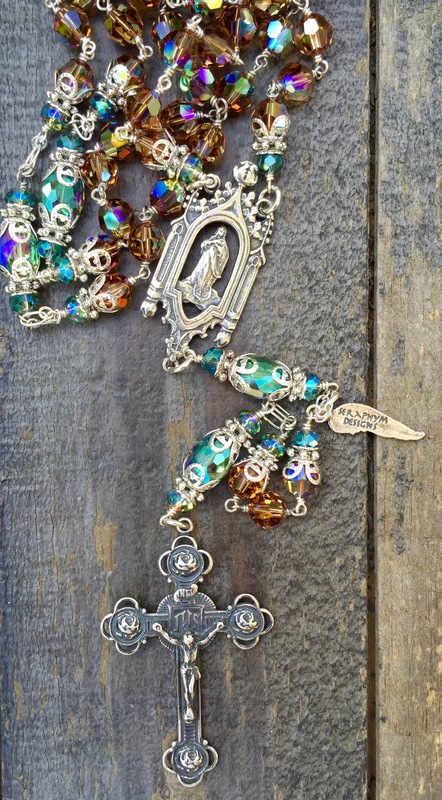 The rosary is embellished with quality detail. 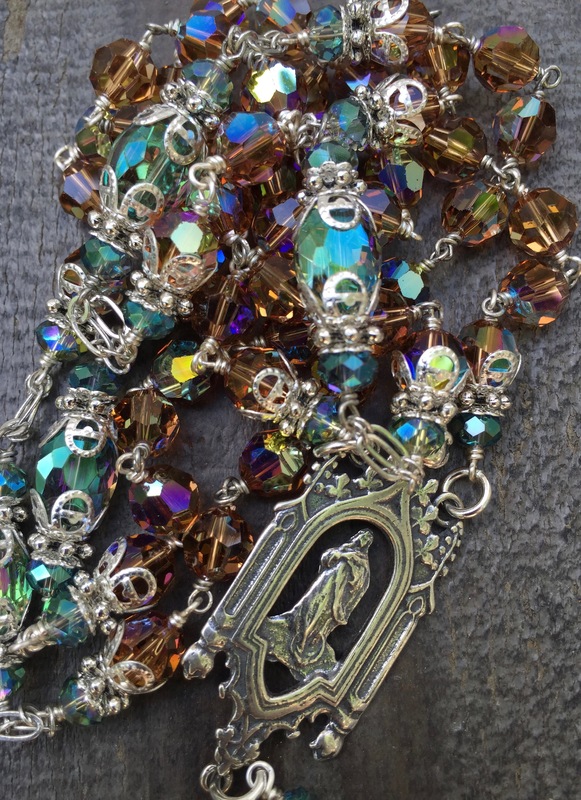 If your Rosary gets into an accident (God Forbid!) 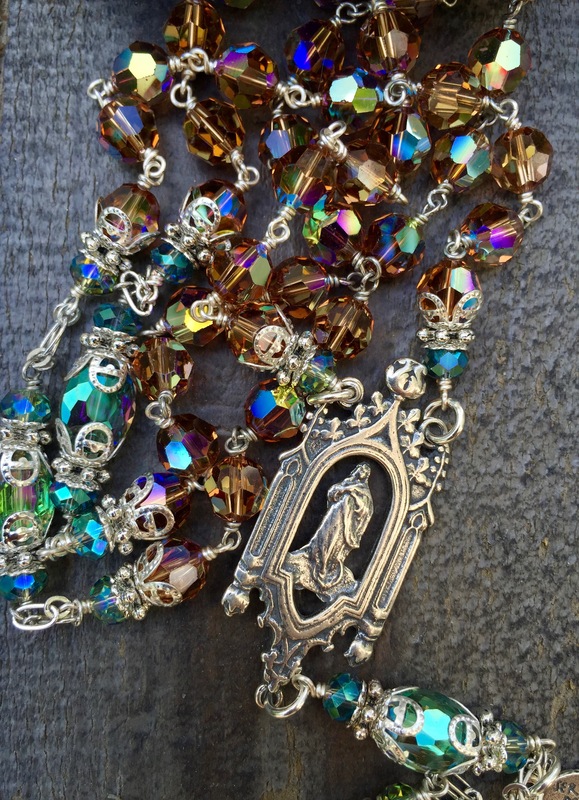 we will fix it at no charge to you…so pray the Rosary everyday! 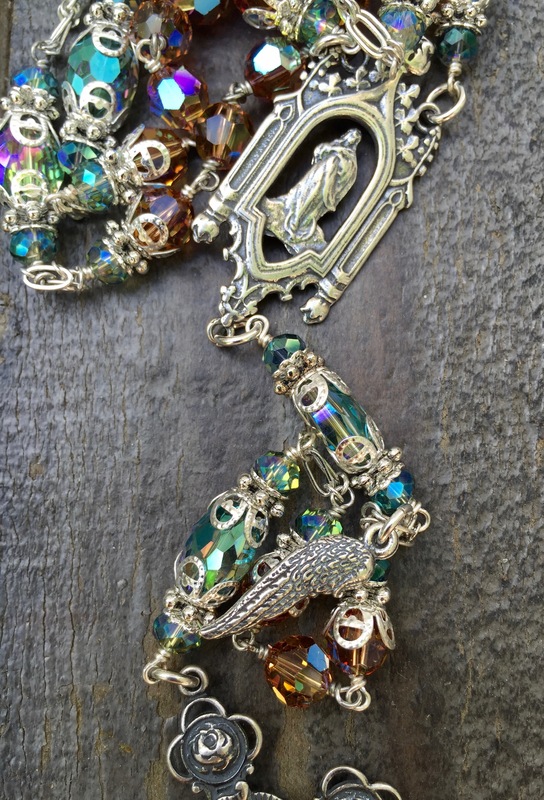 BEADS: 8mm Amber topaz Swarovski crystals from Austria, with aqua crystal Our Father beads and accents. 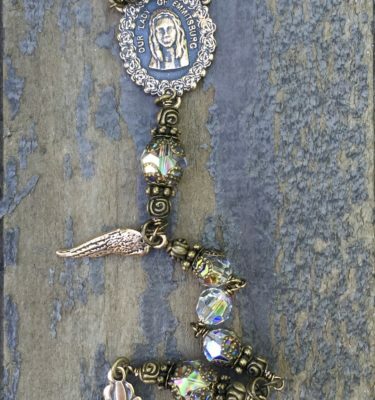 MEDAL: Sterling silver hand cast design depicting Our Blessed Mother Mary in a Gothic temple (1.5″ tall). CRUCIFIX: Sterling silver hand cast crucifix depicting a rose at each end of the cross representing our Blessed Mother Mary. 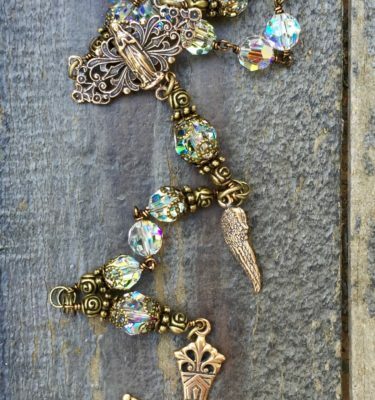 ANGEL WING: Each design comes with the trademark Seraphym angel wing. ROSARY BOX: Each rosary comes in its very own unique rustic wooden box. Join our newsletter for exclusive deals! We promise not to spam you. We only send out emails 5-7 times per year.